Grand Island — Associated Staffing, Inc.
Our Grand Island branch is located on Webb Rd, behind Home Depot next to Barista's Coffee Shop. One of our team members will be in contact with you shortly. Natalia joined Associated Staffing in 1998 as a bilingual Employment Coordinator. She was promoted to Senior Recruiter and then to Operations Manager in November 2017. Prior to Associated Staffing, Natalia lived in Hawaii and worked in customer service at Military Base AAFES. Originally from El Paso, Texas, Natalia has lived in Grand Island since 1998. She has been a part of Habitat for Humanity since 2004 and currently serves on the Family Selection committees. She is also very involved in the Hispanic community and with her church. She lives in Grand Island with her husband and enjoys helping people and traveling. Rob joined Associated Staffing in May 2014. He is a graduate of Dana College where he majored in economics, marketing and business administration. Prior to joining Associated Staffing, Rob was self-employed for more than 10 years. He owns Riedy Enterprises Inc., a commercial and residential rental property business. Rob lives in Grand Island with his wife, Kristin, and three kids. Rob covers the Grand Island, Hastings and Kearney areas. Lupe joined Associated Staffing in June 2016. Prior to joining the Associated Staffing family, Lupe worked at Gibbon Packing Co as a Human Resource Recruiter. She also has 10 years of management experience in the food industry in Columbus, Ohio, and 6 years of production management support. Lupe loves music, dancing, children and taking walks. She is a member of St. Mary’s Catholic Church of Wood River where she lives with her daughter, Claudia. Julie joined the Associated Staffing team in April 2016. 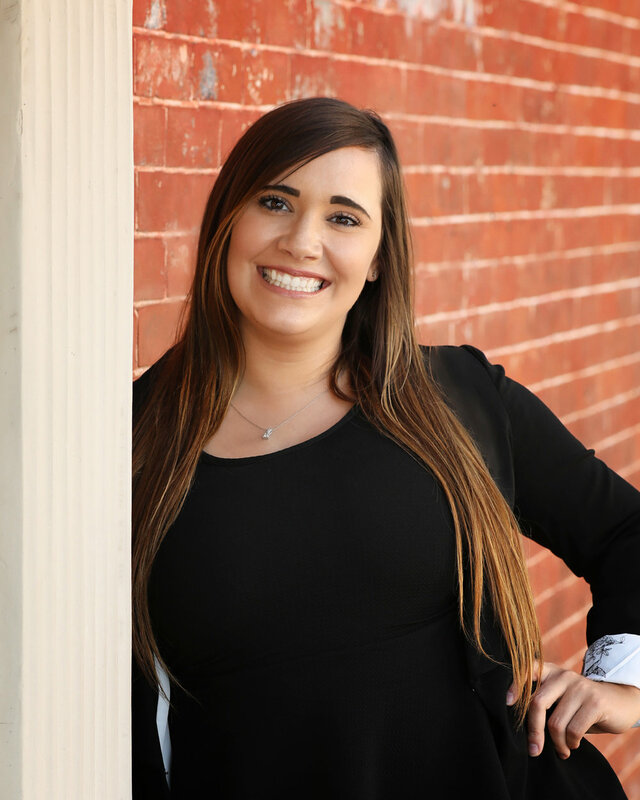 Before coming to Associated Staffing, Julie was an HR Coordinator at JBS Swift & Co. Born in San Antonio, Texas, and raised in Grand Island, Julie is a member of Saint Mary’s Catholic Church and is bilingual in English and Spanish. She enjoys spending time with her family, including four children, grandchildren and fiancé, Alejandro. Joal joined Associated Staffing in May 2017. A graduate of Hastings College, Joal has extensive recruitment and leadership experience. Prior to joining Associated Staffing he was a Regional Account Manager for Aureus Medical Group as well as a Director at Lifegate Church. Joal is extremely passionate about people and helping change lives for the better. Joal is highly involved in his local church and loves spending time with his wife and three children. Erin joined Associated Staffing in July 2018. She is a graduate of the University of Nebraska at Kearney with a Bachelors Degree in Business Administration with an emphasis in Human Resource Management. Erin has been working in the Human Resources field since 2004 and loves to see people thrive in their careers. Her activities and hobbies include church and school activities, riding horses, being outdoors, running, and spending time with family and friends. Lindsay joined the Associated Staffing family in August 2017. She has over 5 years of customer service experience and fully enjoys helping others. Lindsay lives just outside of Grand Island and loves spending time with her family and friends. Kimberly has over 10 years of experience working in customer service and is fluent in Spanish. She was born and raised in Grand Island, Nebraska. Kimberly enjoys helping others to try and achieve their goals. She enjoys spending time with her family. Hobbies would be going to the lake and taking trips to Mexico with her family. Donal joined the Associated Staffing team in December 2017. He brings more than 6 years of customer service experience to the team. Donal enjoys golfing, fishing, target shooting, riding motorcycles and spending time with his wife and three children. Helen worked at JBS for 8 years prior to joining the Associated Staffing family. She was in management for 5 years and worked her way up to being the General Foreman in the Grading Department. She is bilingual and some of her hobbies include: cooking, working out, spending time with her son and going to church. She is passionate about helping others and making a difference.